NBC News is reporting on a case filed on May 24, 2017 by jail death attorneys Budge & Heipt. The case involves the death of Michael Sabbie, a pretrial detainee and father of four who was being held at the Bi-State Jail located on the border of Texas and Arkansas. When he was alive, Michael Sabbie was a doting stay-at-home dad, who cooked every meal for his children before and shuffling them to practices and school, his widow Teresa said. Now, his 13-year-old son has had to take on many of the day-to-day chores his father once managed while Teresa works at a juvenile detention center to provide for her family. “Without his help, I don’t think I could’ve made it through this,” Teresa Sabbie, Michael Sabbie’s widow, told NBC News. Teresa Sabbie said in the two years that have passed since Michael’s death, their son has been catapulted into adulthood. The Sabbie family’s life was upended when Michael died inside the Bi-State jail, located on the Texas-Arkansas border, in July 2015. He repeated the same phrase nearly two dozen times to correction officers. Sabbie had been arrested after getting into an argument with Teresa where he allegedly threatened her. They had been arguing about money, the family’s lawyer, Erik Heipt, said. He was charged with a Class C misdemeanor. 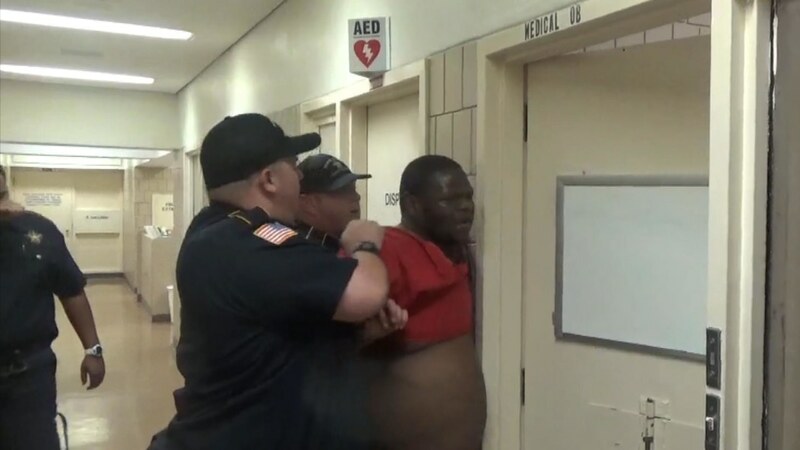 During his approximately 48 hours of pre-trial detention, Michael Sabbie had gone at least twice to the medical office at the Texarkana Bi-State jail, complaining he was short of breath and needed help, according to documents and reports made by the jail employees. It is the way in which he died that has shaken the Sabbie family, and it is why they are now suing in hopes that those responsible for his death will be held accountable, the family said. “The senselessness of his death has affected me deeply. It was totally preventable. It sickens me to know he needed to go to the hospital and was denied. They treated him as if his life did not matter,” his widow said in a statement. No criminal or federal charges were brought stemming from Sabbie’s death. The day after Sabbie died, Texarkana Police Chief Robert Harrison turned the case over to the Little Rock Federal Bureau of Investigation, CNN reported. In August 2016, Teresa was told by the Department of Justice that no charges would be brought forward in relation to Sabbie’s death. Heipt and law partner Edwin Budge filed the complaint in the U.S. District Court for the Eastern District of Texas, Texarkana Division. Earlier that day, Tiffany Venable, a licensed vocational nurse at Bi-State, examined Sabbie. She wrote that he was brought to her in a wheelchair, and that he was complaining he was “SOB” — shortness of breath. “Asked inmate what was going on with him and he advised that he couldn’t breathe and had pneumonia before coming to jail,” Venable wrote in progress notes taken on July 21, 2015. She wrote that Sabbie’s vitals were good, his lungs were clear and he was able to carry on a conversation. She advised him to go back to his pod, she wrote. “Inmate jumped up out of wheel chair and said, ‘stupid b—-‘ after he exited medical walking without difficulty,” Venable wrote. Sabbie later collapsed on the floor of his cell, according to the complaint. Sabbie, who suffered from a range of illnesses, disclosed each ailment on a medical questionnaire form. In a blank space near the bottom, two additional items were hand-written. On progress notes taken the day of Sabbie’s intake, a Bi-State nurse wrote that Sabbie was to be on daily blood pressure tests and insulin checks. The nurse also noted that Sabbie was complaining of shortness of breath and that he was to be placed on medical observation. The Bi-State Jail is located inside an unassuming municipal building, on the Texas-Arkansas border. Both states have access to Bi-State because of its unusual location on the border. The Texarkana Arkansas Police Department, and Bowie County, Texas, Sheriff’s Department both house inmates at the facility. The Texarkana Texas Police Department also uses the jail. Sabbie was arrested by the Texarkana Arkansas Police on the Arkansas side of the border. The 164-bed jail, which opened in 1985, is a private prison, run by LaSalle Corrections. Although the Obama administration sought to phase out private prisons in the federal system, Attorney General Jeff Sessions has reversed course. In a February memo, Sessions said the previous directive “impaired” the U.S. Bureau of Prison’s “ability to meet the future needs of the federal correctional system.” Currently, 21,366 inmates are kept in private prisons. Southwestern Correctional LLC, doing business as LaSalle Corrections, Bowie County, and the city of Texarkana, Arkansas, are all named as defendants in the civil complaint. The city of Texarkana, Arkansas, declined to comment. LaSalle Corrections and Bowie County did not immediately return a request for comment. Previously, LaSalle has said that they operate the jail under standards set by the Texas Jail Commission. Sabbie’s arraignment took place inside the same municipal building where the private jail is located on July 21, 2015. As he pleaded “not guilty,” an Arkansas City District Court judge noted he sounded short of breath. He asked if Sabbie wanted to sit. Sabbie told the judge he needed to go to the hospital. He’d been spitting up blood, according to the complaint. Corrections officer Clint Brown began to lead Sabbie and 10 inmates back to their cells — sometimes referred to as “pods” in jail documents — after the court appearance. In surveillance video, Sabbie appears to say something and makes a frustrated gesture before putting his hands on his knees. It appears he’s struggling to breathe. It’s unclear what prompted Brown, but he approached Sabbie, grabbed him by the shoulder of his orange jump suit and pulled him until he became momentarily airborne, and landed on his chest, according to the video. A corrections officer began filming on a handheld camera because of the use of force. While posing no threat to the officers, the complaint says, Sabbie was pepper sprayed by Lieutenant Nathaniel Johnson. A custodial death report said this was because Sabbie hadn’t complied with orders. Officers then pulled Sabbie to his feet — his pants still hung off his thighs and his shirt twisted up his chest, the video showed. He was led to Venable, who had been working for nearly 12 hours. It is unclear what medical check Venable, who did not respond to a request for comment, performed on Sabbie, but in the video it appears she is holding a stop watch to take his pulse. As he sat, still gasping, Sabbie interchanged between begging, “Please. Please, I need water,” and “I can’t breathe.” Almost every second of the more than nine-minute clip is punctuated by Sabbie gasping for breath. The video shows that after leaving the medical area, Sabbie was led to a shower for “decontamination” from the pepper spray. There he continued gasping before an officer threatens him with pepper spray again. “I’m sorry. I’m sorry,” Sabbie said as a stream of water hit his face. The officers led a soaking-wet Sabbie, who had regained consciousness, back to his cell, according to the video. He continued to moan as he tried to breathe. The officers placed him back in his cell, and Sabbie tried to stand. He was only able to lean between his concrete bed and a metal stool. The complaint says at least 19 times, Sabbie audibly said, “I can’t breathe.” NBC News counted 23 times Sabbie spoke those words. Venable said that in her five years of experience with LaSalle Correction, Sabbie’s symptoms had been consistent with someone who had been pepper sprayed, according to a Texarkana police report. The following morning, corrections officers became concerned when Sabbie didn’t respond to their requests that he pull up his pants, according to the custodial death report. Officer Simone Nash said in a witness document that she conducted regular checks of Sabbie and observed his chest moving through the night. NBC News was unable to reach Nash, Brown, Johnson or Dr. Gregory Montoya — a physician who was allegedly in the room during Sabbie’s intake — for comment. Phone calls placed to numbers listed under their respective names were not answered. After review by the Texas Commission on Jail Standards two months after Sabbie’s death, an inspector found that the regular face-to-face 30-minute checks in areas “where inmates are known to be … potentially suicidal, mentally ill,” were not being done as required by the minimum jail standard. 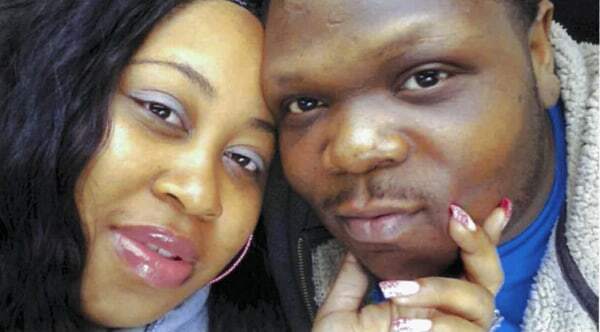 It’s unclear how long he had been dead, but the complaint says his body was “stiff” and “cold to the touch,” according to a critical incident report taken by the jail. Sabbie’s death was listed as “natural” in the custodial death report. The events leading up to the death of Sabbie, who was black, are reminiscent of recent highly-polarizing cases of Black Americans who died while being detained by law enforcement. Despite differing cases, the words Sabbie spoke so many times to the corrections officers — “I can’t breathe — echo the final words of Eric Garner. Garner, who was allegedly selling loose cigarettes on a New York City street, was placed in an unauthorized chokehold by a NYPD officer in July 2014. Unlike Sabbie, Garner was not an inmate and did not die in jail. Bi-State jail did not provide the racial demographics of its corrections officers, but Fathi said jails that have a “demographic mismatch” have the potential to be lethal. In the video, the majority of officers who piled onto Sabbie appear to be white. It’s unclear if race played a part in Sabbie’s death, Heipt said, but as the case progresses that aspect will be examined. Ultimately, the complaint filed on Sabbie’s behalf alleges that his civil rights were violated due to cost-cutting behaviors on the part of Bi-State. “The failure to secure needed medical care for Mr. Sabbie was motivated by constitutionally impermissible profit-driven reasons,” the complaint alleges. The complaint alleges Montoya was in the room during Sabbie’ intake, but it is unclear if he played any role in his medical care. Heipt, Budge and Sabbie’s family hope with the filing of their suit, the policy around medical care in jails and prisons will begin to improve. If your civil rights have been violated or if you would like to discuss a case involving significant injuries or the death of a loved one, we are interested in speaking with you. Please contact our law office for a free consultation.